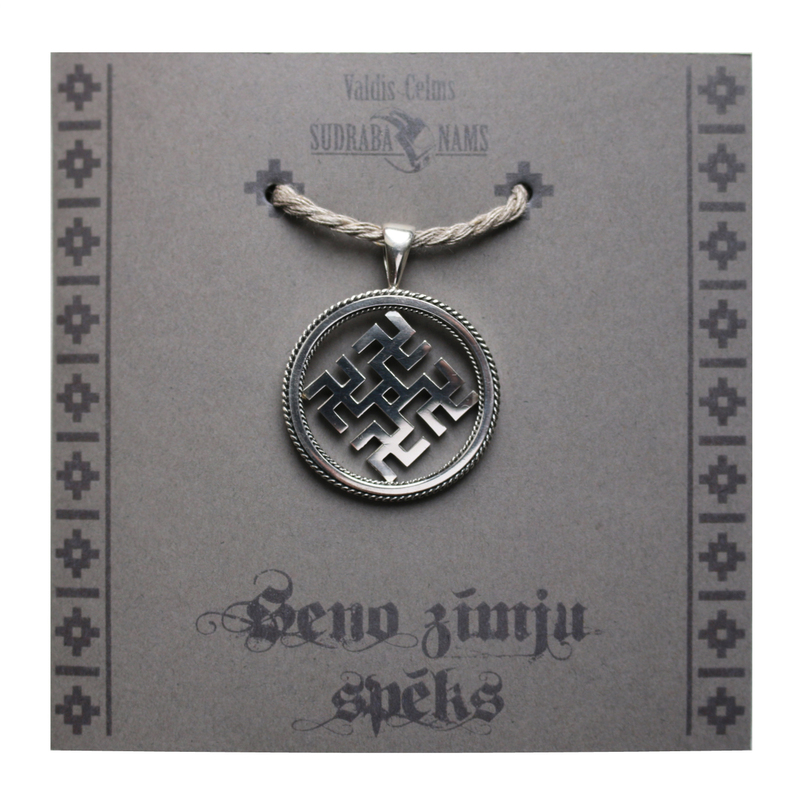 On the basis of the jewellery is one of the Fylfot signs known in Latvian (Baltic) ethnography. That is an ever active energy sign, which basic form is known all over the world with the meaning – connected with good. The sign symbolizes the Thunder and the Sons of the Thunder – craftsmen, who all are involved in various tasks needed for the world. It is a sign for cooperation between four cardinal point forces and common centre. It is a movement from the centre and back to the centre. To the middle of all activities, to creative beginning – God. It is an expansion of the world and existence in cyclic movement. It promotes understanding, cooperation and mutual sense of belonging to Latvian (Baltic) traditional culture or life philosophy values. It strengthens the sense of purpose, will to fight, persistence, independence. The symbol is placed in the circle. The meaning of the circle is integrity and infinity of the world. The border between inside and outside, between your own and stranger, safety and insecurity. Motion within the circle is directed to the internal growth and development.